Warm weather tornadoes, floods and hail storms are running their way across the nation, leaving wrecked, drenched, dinged up and damaged automobiles in their wake. The professionals at Mooney’s Collision Repair are willing to help. During spring storms, they see a huge number of automobiles harmed by falling trees, debris, wind, water, and hail. They give the following advice to help car owners handle spring storms – before and after. The time to review your auto insurance isn’t when the weatherman is giving bad news that storms are on the way. Examine your policy now to understand what is covered, what the insurance deductibles are, if you’ve got rental coverage and how to proceed when the storm hits. Complete coverage shields against most damage from natural disasters. Two other choices to consider are gap coverage – which pays the difference between what you owe on your loan and what your motor vehicle is really worth — and rental reimbursement. One warning – if you submitted a previous damage claim and got a check from your insurer, but didn’t have the car repaired – the insurance company will deduct this amount from your estimate for the weather damage, and bill an extra deductible, as well. When you know that a storm is en route, get the vehicle to higher ground or under cover. For hail storms, cover your vehicle in an old blanket and a car cover from your neighborhood automotive retailer – before the storm hits. This will provide some protection for your hood, roof, and rear deck lid. If a violent storm arises quickly, seek out an awning at a gas station, the drive-through at the bank or self serve car wash to get under for quick protection. On the freeway, try to find cover under a bridge or viaduct. collision repair center missouri. Exactly how much Time ought I allow for a Hail estimation? A standard hail estimate necessitates 30-45 minutes. At this time, the estimator follows a deliberate format of distinguishing severity and number of dents on all panels. On top of that, the estimator works with you to answer all questions you have about the repair and obtains all accurate vehicle information. 2. How do I schedule my vehicle for repair? During your estimate, you’re going to be asked when you’d like to schedule your automobile for repairs. During a typical hail storm, thousands of vehicles sustain damages, thus, it might be a few weeks before your scheduled visit. Mooney’s Collision Repair of Kansas City Missouri will work with you to ascertain the ideal repair time following your estimation. 3. What goes on throughout the estimate process? During the estimate process, your estimator will greet you and then will drive the car into the estimating bay. Then, they assess your vehicle, taking record of the extent of the hail damage and the severity and quantity of dents. The estimate is then finished and examined with you, and you will be furnished with a printed copy of the quote. 4. What does pre-loss condition imply? During the hail estimation process, any non-hail damage will be noted. The state of the car, including this damage, is considered the pre-loss condition of the car. Any damage that isn’t hail-related will not be covered on the repair. During the time of the estimation, pictures will be taken of your vehicle and any of these conditions will be noted in the estimate. 5. What is a supplement? Supplements are added operations or parts required to complete the restoration of the car that go beyond the primary estimate. In some cases, the initial estimate is inadequate to do the repairs. When a vehicle is delivered for repairs, an additional inspection is carried out to determine if all of the damage was documented for repair. If all damage was found and written on the original estimation, no supplement is necessary. However, if some damage was overlooked on the first estimate a “supplement” is necessary to document the necessary operations or parts required to effectively repair the car. If a supplement is required, it may extend the period of time needed to fix your motor vehicle. The supplement will be explained to you and an altered pick up time will be given. 6. Why is a clean car important? A clean car allows the estimator to see clearly the damage. Dust and dirt can often mask damage, leading to erroneous estimates and delays in the repair process. 7. What’s Paintless Dent Repair (PDR)? The main process for PDR necessitates the technician to push and massage each dent in an extremely technical and precise way. To do this, each dent is worked back to its initial shape with different metal rods differing in size and shape. The dents and dings are worked from the underside of the metal utilizing access points on each panel. It is a really specialized and meticulous method that requires the finished metal to appear as if it came from the original factory. 8. What is conventional auto body repair? Traditional body repair usually replaces the panels on a motor vehicle and requires painting to match the factory finish. In some cases, hail damage is so severe that conventional body shop methods are needed to repair specific panels. If there are too many dents or too many big dents, a panel might not be able to be fixed with PDR. 9. What does R and I mean? R and I is an acronym that means Remove and Install. When a car starts the repair procedure, an R and I technician loosens, and often removes, the interior panels and parts to allow for access to the underside of the metal panel. When the PDR repairs get completed, this technician replaces the parts and re-installs the interior panels (such as the headliner and hood liner). 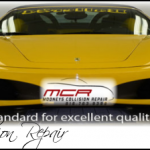 Mooney’s Collision Repair has a quality assurance process to make certain that all parts are replaced properly so that your car is returned to you in the same condition that we got it, without the dents, of course. While your automobile is in the shop, it’s the perfect time to have other dents and dings repaired. It will be more cost effective and your car or truck will ultimately benefit. 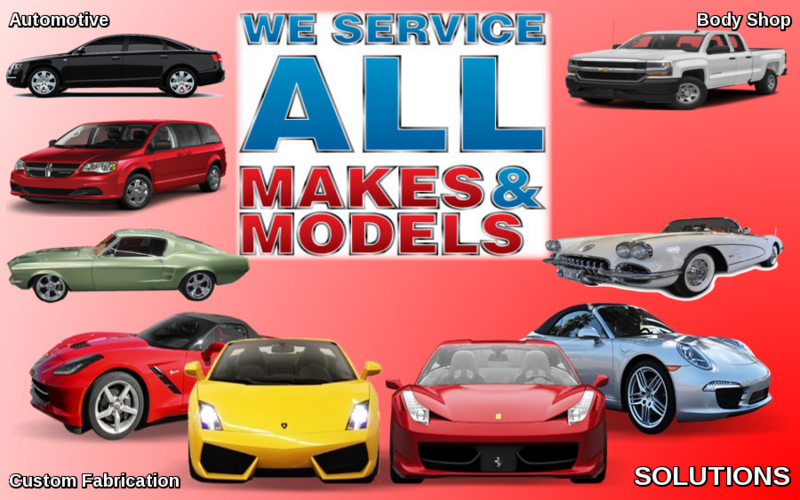 STATE OF THE ART TECHNOLOGY Mooneys Collision Center works on all makes and models, and we have the training and certifications to work on all brands of vehicles. Foreign or domestic, we’ll repair your vehicle with the latest equipment and paint processes. Our staff and technicians have all the latest training, which is the industry benchmark for excellence.